Not yet ready for the 4K leap but still want an upgrade over your current 1080p monitor? Then a 1440p monitor just might be the ideal middle ground for you! Going with a WQHD monitor could actually be a very smart decision, and for more reasons than you might think. In this article, we will be presenting you with the best 1440p monitors that you can get in 2019, discussing their advantages, disadvantages and all the general reasons as to why you might want to pick a 1440p monitor over a 1080p or a 2160p one. The first category will focus on “budget” monitors i.e. those that offer the best value at the lowest prices. Finding such a product is not easy, since all the extra features commonly found in most modern gaming monitors tend to ramp up the prices quite easily. We went ahead and selected four of the best WQHD budget gaming monitors we could find, and these just might be your stepping stone into the future of gaming! The first product comes from Lenovo, and it is the Lenovo L24q – a solid budget 1440p gaming monitor. With its barely-noticeable bezels and the sleek silvery exterior, it definitely looks great, and not just on the outside. Inside is a good IPS panel that does precisely what IPS panels are known for: excellent color reproduction, wide viewing angles, and all-around great visuals. The Display – As mentioned above, what we have here is an IPS panel, coming with the usual 60Hz refresh rate and a 4ms response time that is most common for this type of panel. Of course, it looks quite good, especially for a 1440p monitor in this price range. Connectivity – The monitor comes with two ports: one HDMI and one DisplayPort, both of which are equally good choices for a monitor with this resolution and refresh rate. However, we would have liked to see a Dual-Link DVI-D port included as well since it is still a viable choice for 1440p 60Hz gaming. Adjustability – The L24q can only be adjusted for tilt and, unfortunately, does not support VESA mounting. 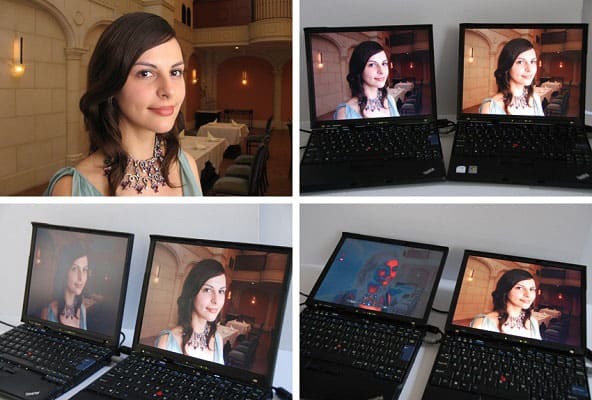 Though a bit basic, the Lenovo L24q is a great choice for those on a tight budget. It looks good, both when it comes to the panel and the exterior design, and offers great overall value. Our only qualms with it are the aforementioned lack of a DL-DVI-D port and the lack of VESA support. 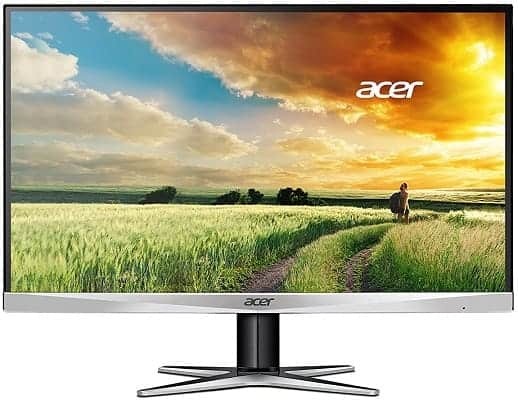 Next up, coming from Acer, we have yet another fairly affordable 1440p monitor that seems quite similar to the above Lenovo 24q in terms of design. The Acer G257HU also comes with slim bezels and its exterior combines black and silver quite well, making for a rather sleek-looking monitor. Once again, we have an IPS panel, though the screen is a bit larger this time around – 25 inches as opposed to the above Lenovo mode’s 23.8. The Display – Once again, we’re dealing with an IPS panel that comes with the usual 60 Hz refresh rate and 4ms response time that doesn’t differ much from that of the Lenovo L24q, apart from the size. Connectivity – In addition to a single HDMI port and a single DisplayPort, the G257HU also throws a DVI port into the mix, a connector that some are bound to appreciate having. Adjustability – The monitor can only be adjusted for tilt and, again, there is no VESA mounting option. Speakers – The Acer G257HU comes with the extra convenience of internal stereo speakers, though with an RMS of 1.5W, these are hardly suitable for gaming or for watching movies. Moving on, we have a monitor from ViewSonic, and it is their VA2719 model. This monitor doesn’t look like much at the very first glance, as it is an unassuming black monitor with a simple circular stand base. In truth, it packs an IPS panel as good and bezels as slim as those found in the previous two models, all the while maintaining a similar and highly approachable price and throwing in some extra features as a bonus. The Display – As already mentioned, this is yet another IPS monitor, and unsurprisingly, it doesn’t offer increased refresh rates or lower response times. However, what it does have is a 27-inch screen, and most will agree that this is the ideal screen size for a 1440p monitor. Connectivity – The monitor comes with two HDMI ports and a single DisplayPort. Adjustability – As you might have guessed, the stock stand is rather basic and only supports tilt adjustment, but the good news is that the VA2719 is actually compatible with 100×100 VESA mounts. Speakers – This monitor also comes with built-in speakers which are a bit better than what you’d find in the previous model, although the small drivers with an RMS of 3W are still far from adequate for gaming. 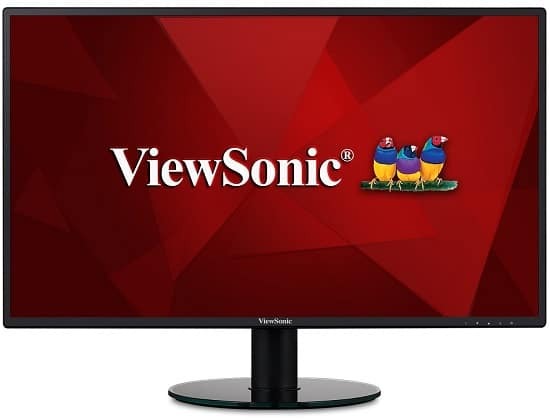 At the end of the day, the ViewSonic VA2719 is a great budget WQHD monitor that has pretty much everything that you’d want from a product in this price range: a great panel, neutral exterior design with slim bezels, as well as VESA support, and all of that at a very approachable price. The lack of a DL-DVI-D port may still irk some people, but with the added flexibility of a VESA mount, it’s easy to overlook both that and the mediocre stock stand. For the final entry in this category, we have the hefty AOC Q3279VWFD8. This is quite possibly the best budget WQHD monitor if you’ve got your mind set on certain features that are usually missing from products in this price range. First of all, it is big – at 32-inches, this monitor is as large as 16:9 monitors get, and with a 1440p resolution and an IPS panel, it still looks great. To top it off, it comes with an increased refresh rate and AMD FreeSync, something that many gamers are bound to appreciate. The Display – As mentioned in the introduction, we’re looking at a huge 32-inch 1440p IPS monitor with a maximum refresh rate of 75 Hz and a response time of 5ms. Then, we also have AMD FreeSync, which ensures a gaming experience free from screen tearing, and without any FPS caps. Connectivity – The AOC Q3279VWFD8 definitely doesn’t skimp on ports. In addition to the usual HDMI and DisplayPort, it also throws in a Dual-Link DVI-D port, and even a VGA port into the mix. Adjustability – Unfortunately, this monitor takes a step back in this department, as it also has a rudimentary stand that supports only tilt adjustment, without the option of using VESA wall mounts or stands. As you can see, the AOC Q3279VWFD8 takes one step forward and one step back from the ViewSonic VA2719. It offers enhanced performance and a bigger display, but at the cost of VESA support. The quality of the display itself is on par with ViewSonic’s monitor, though some may find a 32-inch 16:9 monitor a bit too big to be comfortable for desktop use. In the second category, we tackle some premium gaming monitors – those that bring visuals and performance together, combining the 1440p resolution with a 144 Hz refresh rate. 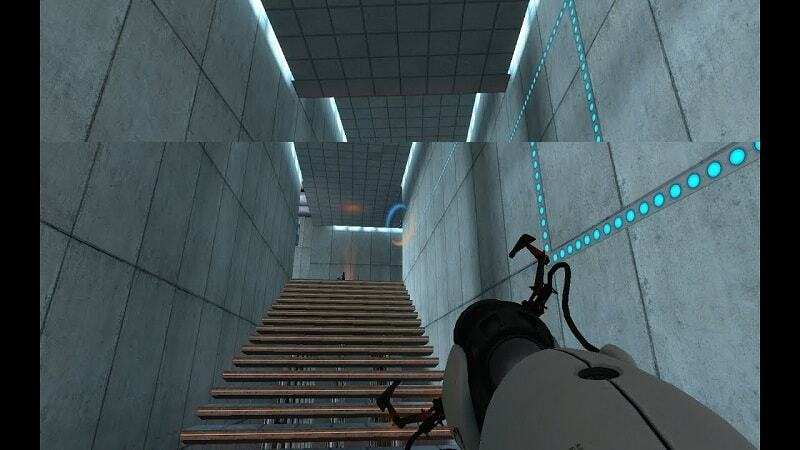 For many gamers, this would be the best way to go. We’ve picked out seven excellent 144Hz 1440p monitors from reliable manufacturers, coming in a variety of sizes, with different types of panels, and with both FreeSync and G-Sync variants included. The first product in this category is bound to catch the eye of many a gamer who prizes performance over visuals in their monitor. 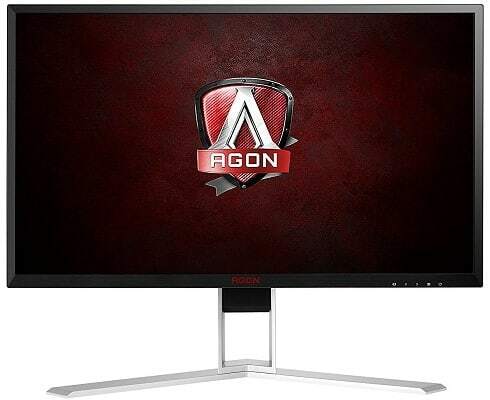 The AOC AGON AG241QX is a 144Hz 1440p monitor that comes equipped with a TN panel, and it looks quite good on top of a desk, too – with some aggressive red highlights and a sleek metallic stand, AOC has made sure that everyone knows this is a proper gaming monitor at the very first glance. 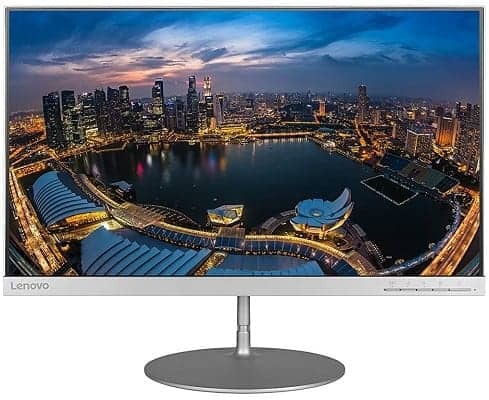 The Display – As already stated, this monitor is equipped with a TN panel, meaning that it sacrifices color accuracy and viewing angles for the sake of improved performance at a lower price, offering not only a 144Hz refresh rate but also a 1ms response time, something that only TN monitors are capable of for now. On top of that, this is a 24-inch monitor, although a 27-inch variant is available as well, both of which come with AMD FreeSync. Connectivity – AOC hasn’t skimped on ports with the previous monitor of theirs that we’ve taken a look at, and they haven’t done so here either. The monitor comes with two HDMI ports, a single DisplayPort, plus a DVI and a VGA port. In addition to that, there are also four USB 3.0 ports. Adjustability – The stand of the AOC AGON AG241QX can be adjusted for tilt, height, and swivel. This, combined with its clean design, makes it a great stand, but should you want to switch it for another one, you’ll be pleased to know that the monitor also supports VESA mounting. Speakers – The monitor also comes with dual 3W speakers, which are quite decent, as far as monitor speakers go. There’s no doubt about it – if you’re looking for a fast 1440p TN monitor, the AOC AGON AG241QX won’t leave you disappointed. The inclusion of a stable and highly adjustable stand is very welcome, as well as the variety of connectors that it comes equipped with. But of course, the biggest drawback is the usual drawback of the TN panel, and that’s the underwhelming color reproduction. Following up on AOC’s TN monitor, we have one from Asus that can rival it in terms of performance, all the while preserving the vibrant colors of the IPS panel – the MG279Q. This 144Hz 1440p IPS monitor looks a bit tamer than the Agon, as it boasts an unremarkable, mostly black exterior, though the angular design of the base of the stand might grab some attention. In any case, let’s see how this monitor fares! The Display – A 27-inch 1440p monitor with an IPS panel and a 144Hz refresh rate – it hardly gets better than this. Of course, the response time is still capped at 4ms due to the technological limitations of the IPS panel, so the action isn’t quite as smooth as with the AG241QX, though it definitely comes very close. And much like the aforementioned model, the MG279Q also comes with AMD FreeSync. Connectivity – Asus kept their monitor’s selection of ports a bit more modest than what the AOC included with theirs, boasting two HDMI ports, plus a DisplayPort and a Mini DisplayPort. On top of that, there are two USB 3.0 ports. Adjustability – The stock stand of the Asus MG279Q is fully adjustable, as it can be adjusted for tilt, pivot, swivel, and height. Of course, it is also compatible with 100×100 VESA mounts, should you wish to mount it on a wall or replace the stand for whatever reason. 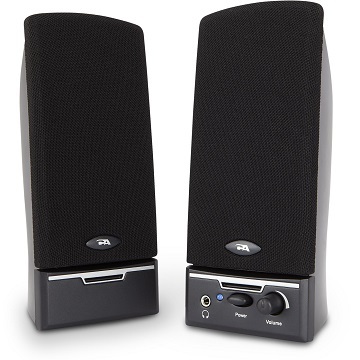 Speakers – Like most monitors in this price range, this one also has a set of basic 2W stereo speakers. If you’re looking for visuals and performance in a single package, then you’ve probably found your match. The Asus MG279Q just has it all – excellent color reproduction, a 144Hz refresh rate, a fully adjustable stand, and VESA support. Granted, only TN panels can manage a 1ms response time, but unless you’re used to such a low response time, you likely won’t mind gaming with 4ms. Apart from that, the monitor is, admittedly, on the pricey side, so that should be mentioned as well. 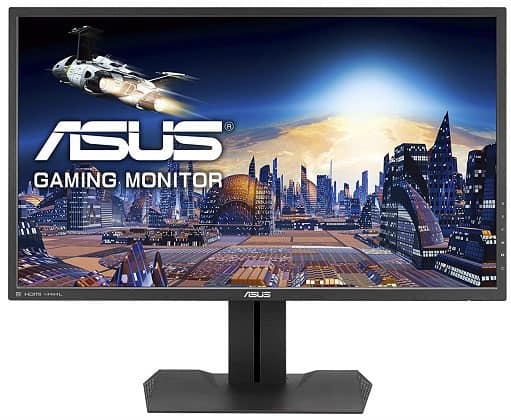 The next monitor we have lined up is quite similar to the Asus MG279Q, barring a few key distinctions. 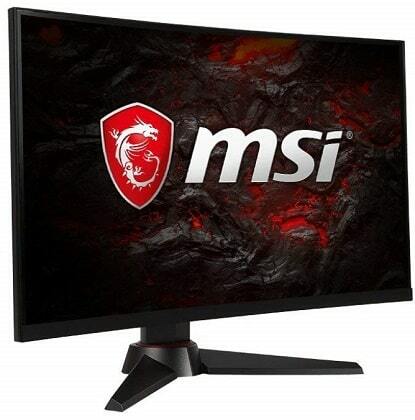 The MSI Optix MAG27CQ is a 27-inch 144Hz VA monitor that further enhances immersion with the help of a curved screen, all the while the combination of black with red highlights and red LEDs manages to give it that particular gaming flair. The Display – In terms of performance, this monitor is essentially identical to the above Asus one, with a 144Hz refresh rate and a 4ms response time. But as mentioned in the introduction, it has the added benefit of a curved screen. As for the VA panel, it handles color reproduction quite well and it is actually better than an IPS panel when it comes to contrast. And like the others, it also has FreeSync. Connectivity – The MSI Optix MAG27CQ comes with an HDMI port, DisplayPort, and a DVI port – one of each. Unfortunately, there is no USB hub to be found here, which is quite a shame for a monitor in this price range. Adjustability – The stand that ships with this monitor supports tilt, swivel, and height adjustment. As before, should you want to replace the stock stand for whatever reason, the monitor supports 75×75 VESA mounts. Ultimately, the MSI Optix MAG27CQ easily rivals the Asus MG279Q both in terms of performance and visuals, all the while adding that 1800R curve to the mix. The only qualm we have with it is the lack of any USB ports whatsoever, and while it is not a big drawback, it would have been convenient to have in a monitor in this price range. 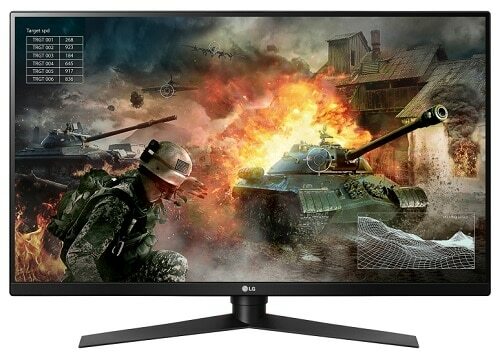 Moving forward, we get to some big monitors yet again, and this time, it’s the LG 32GK650F. This is a beautiful 31.5-inch monitor with that same almost bezel-less design we’ve seen before. And like the above MSI Optix monitor, this one also utilizes a well-balanced VA panel that combines performance and visuals with a fairly approachable price tag. The Display – The VA panel found here is virtually the same as the one found in the MSI Optix MAG27CQ in that it has comparable color reproduction, the same 144Hz refresh rate, a 5ms response time which is only a millisecond higher, and AMD FreeSync. Of course, the key difference here is that the display is larger but not curved like that of the previous monitor. Connectivity – The LG 32GK650F keeps things simple in regard to ports, as it has two HDMI ports and a single DisplayPort. Sadly, there are no extra USB ports to be found here either. Adjustability – The monitor comes with a great stand, though it may seem somewhat unimpressive at first glance. 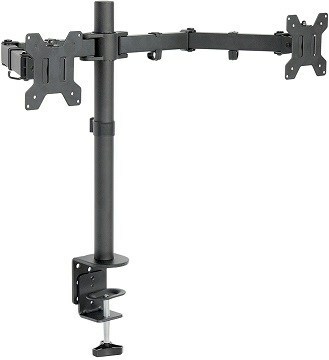 It is fully adjustable, including tilt, height, swivel, and pivot adjustment. On top of that, it can be used with any 100×100 VESA mount. With all of the above in mind, it’s fairly obvious that the LG 32GK650F is your regular jack-of-all-trades VA monitor. It’s big, offers good visuals and good performance, all the while being relatively inexpensive for the features it offers. The only issues we have with it are the same ones that we’ve mentioned for some of the previous models, and that’s the fact that a 31.5-inch monitor may be too big for some people’s tastes, as well as that a USB hub would have been a very welcome addition to the mix. As we draw closer to the end of the list, it’s about time we took a look at something a bit different. The next monitor on our list is the Dell S2417DG, a somewhat unassuming gaming monitor. Indeed, from the design, it would be easier to peg it for your run-of-the-mill office monitor, but when we take a look under the hood, it’s a whole other story. 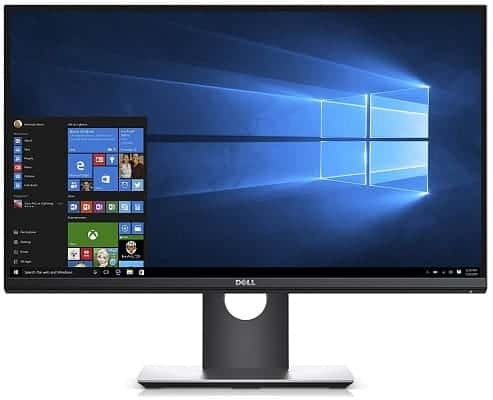 The Display – The Dell S2417DG is a 24-inch monitor that utilizes a snappy TN panel, packing a 144Hz refresh rate and 1ms response time. More importantly, it also supports Nvidia G-Sync instead of AMD FreeSync, making it much more appealing for Nvidia users than any of the previous models. Connectivity – When it comes to ports, this monitor comes with a single HDMI port and a single DisplayPort. If you think that’s disappointing for a monitor in this price range, you’ll be pleased to know that it also comes with four USB 3.0 ports as well. Adjustability – Much like the previous monitor, the stand that ships with this one is fully adjustable, supporting tilt, height, swivel, and pivot adjustment. As is to be expected, it is also compatible with 100×100 VESA mounts. With all that said, it should once again be fairly obvious what type of gamer this monitor aims to please. It has a fast TN panel, supports Nvidia G-Sync, and comes with a fully adjustable stand, all the while sporting an overall neutral design. It is definitely one of the best performance-oriented gaming monitors on this list, and if we had to hold anything against it, it would have to be the usual underwhelming color reproduction that inevitably comes with TN panels. The next monitor we have lined up is another model from Acer, though this one belongs to their gaming-oriented Predator lineup – the Predator XB271HU. The most obvious difference between it and the Dell monitor described above is the overall more aggressive exterior design, but more importantly, this is a great monitor for those who want visuals, performance, and G-Sync in a single package. 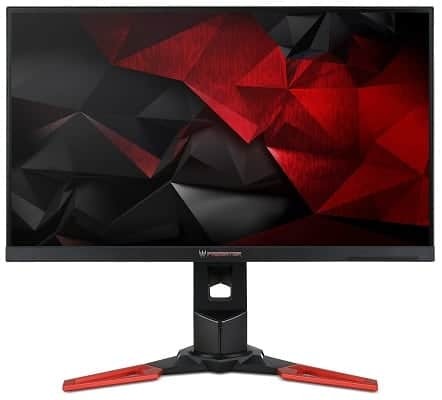 The Display – The Predator XB271HU comes with a beautiful 27-inch 1440p IPS display that delivers on both the colors and the performance with its wide color gamut and 144Hz refresh rate. And as mentioned above, it also supports G-Sync, something that should definitely be on every Nvidia user’s checklist if they’re shopping for a 144Hz monitor. 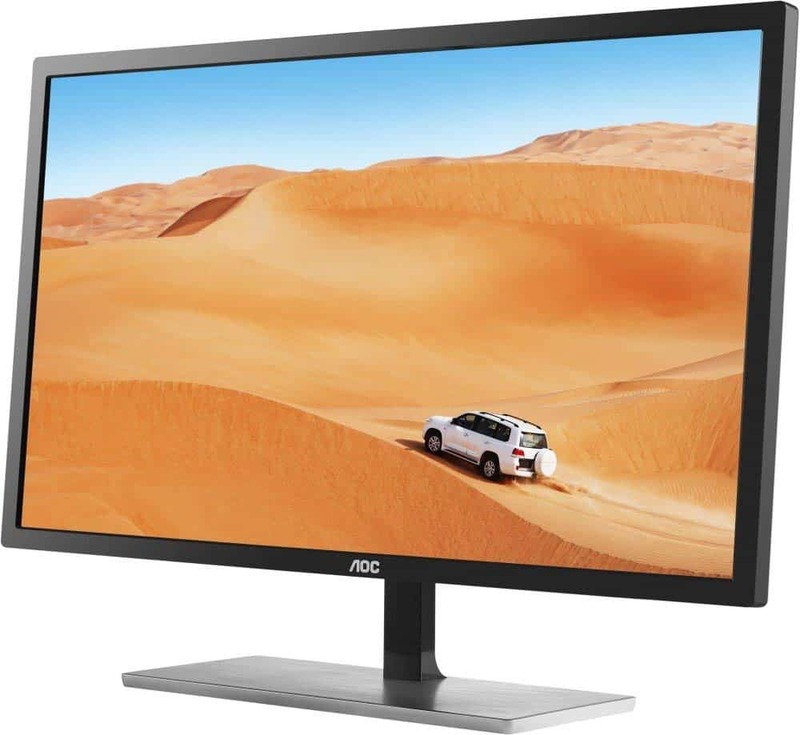 Connectivity – Like the Dell S2417DG, this Acer monitor keeps the connectivity options simple, reducing them to one HDMI port and one DisplayPort. Apart from those, it also has four USB 3.0 ports which are bound to come in handy. Adjustability – As is to be expected from a monitor in this price range, it comes with a top-quality stand that is fully adjustable (tilt, pivot, swivel, height) and it supports 100×100 VESA mounts. Speakers – Acer went a step further with this model, adding dual 2W speakers to the monitor. But as we already mentioned in some of the previous entries, such weak speakers are a convenient feature to have, although you definitely shouldn’t expect any truly immersive sound to come out of them. There’s no denying that the Acer Predator XB271HU is one top-of-the-line gaming monitor. It looks great on all fronts and will offer performance more than satisfactory for most gamers, though we can’t help but hold two things against it. First, there’s the hefty price tag, but more importantly, since it’s such an expensive IPS monitor, we really would have loved to see it come with HDR support. Acer’s Predator not large enough for you? LG’s got yet another massive VA gaming monitor that just might fit the bill. The LG 32GK850G takes a design approach similar to what we’ve already seen with LG’s latest monitors, sporting a neutral and predominantly black exterior. On the inside, it packs most of the features you’d expect from a monitor in this price range. The Display – What we’re dealing with here is another VA panel, like the one found in the previous LG monitor described above. And much like that one, the LG 32GK850G has a refresh rate of 144Hz and a response time of 5ms, although it differs in the fact that it uses G-Sync instead of FreeSync. Connectivity – On the connectivity front, the monitor has one HDMI port and one DisplayPort, complemented by three USB 3.0 ports. Adjustability – The LG 32GK850G comes with the same stand as the 32GK650F, meaning that it’s stable and fully adjustable for tilt, height, swivel, and pivot. Of course, it also supports 100×100 VESA mounts. 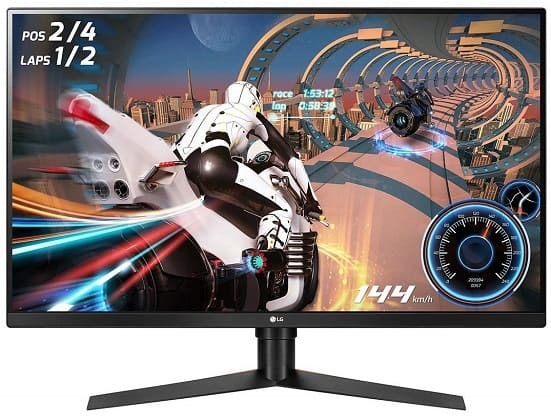 All in all, the LG 32GK850G is an all-around great gaming monitor if you’re looking for a display that is not only fast and good-looking but large as well, so it’s a great choice if you’ve got your mind set on something beyond the usual 24 or 27 inches. On the downside, it is fairly pricey, and as already mentioned with the previous LG monitor, a 32-inch monitor may be a bit too much for desktop use. Now that we’ve gone over the best 1440p gaming monitors, let’s take a closer look at some of their features in order to help you choose the one that best suits your preferences and requirements. Gaming in native 1080p with a stable 60 FPS has long been the ultimate goal for many a gamer but it looks quite diminutive by the modern standards. And while 4K is already slowly becoming the new standard, is arrival has been quite hard on computer hardware. Because of hardware limitations, Full HD, Quad HD, and Ultra HD are all viable resolutions for gaming, each with its own pros and cons. Today, 1080p (or Full HD) is often the best choice for gamers who are on a tight budget and those who want the highest framerates that they can get, even if it comes at the cost of the improved visuals that a higher pixel count would bring. 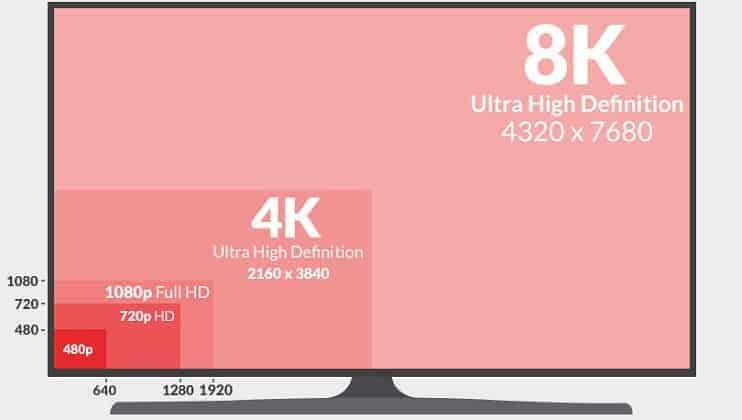 On the other end of the current resolution spectrum, we have 2160p, also referred to ask UHD or 4K. It is currently more popular with TVs than monitors, and for a good reason. While this resolution offers the best visuals, it is also very demanding. As such, only the most powerful GPUs can manage playable framerates in this resolution. And then, there’s 1440p, also commonly known as QHD or WQHD and sometimes mistakenly referred to as 2K. As already mentioned in the article, this resolution currently makes for the best balance of performance and visual fidelity, as the modern GPUs are capable of pushing higher refresh rates in this resolution than they are in 4K. Because of this, we think that 1440p is the best choice for the average gamer today – at least those willing to invest a little more in the most important PC peripheral. With a 1440p 144Hz monitor, you get enhanced graphics and the kind of performance that you’d be hard-pressed to find in a 4K monitor, and if you ever want to give the FPS a boost, dropping the resolution to 1080p is as easy as clicking a button. Knowing what type of panel a monitor utilizes can easily give you plenty of insight into that monitor’s overall capabilities. 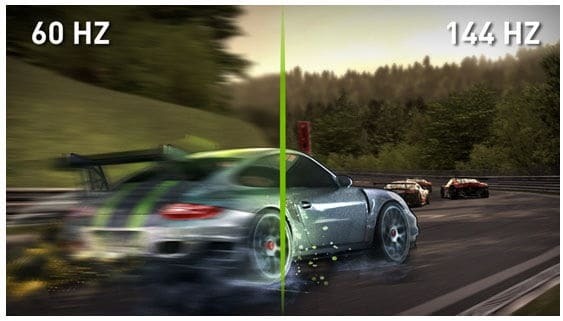 Modern LCD gaming monitors come with one of the three technologies listed above: IPS, TN, or VA.
TN, short for twisted nematic, are the cheapest and fastest of the three. As such, you will commonly see them in the most affordable monitors, as well as in the fastest ones. Currently, TN monitors are the only ones that can achieve 1ms response times and 240Hz refresh rates, though they colors produced by TN panels often look quite flat and washed out, not to mention that they have very bad viewing angles. 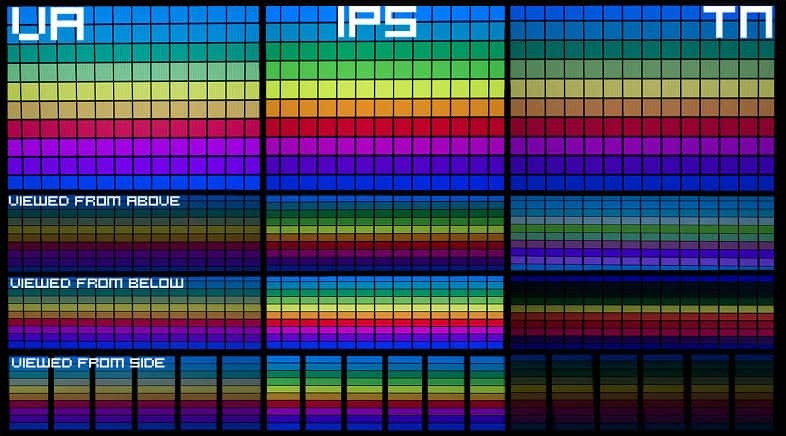 IPS, short for in-plane switching, is the panel whose chief merit is its unmatched color accuracy. The colors produced by a good IPS panel are deep and vibrant, and the refresh rates can easily reach 144 Hz. However, increased performance in an IPS monitor usually includes a noticeable increase in price, too, and an IPS panel can never have a response time lower than 4ms due to technological limitations. VA, or vertical alignment, is the middle-ground panel that balances visuals, price, and performance, all the while actually offering contrast ratios better than what you can get with IPS panels. The color reproduction is not quite as good as that of an IPS panel, and much like IPS panels, they cannot achieve refresh rates beyond 144Hz nor response times lower than 4ms. 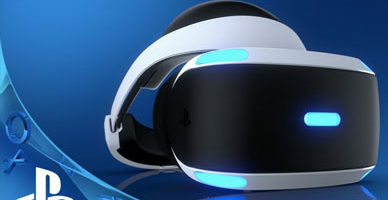 With all that said, it should be fairly obvious as to which type of panel will appeal to which type of gamer: TN for those prioritizing performance and/or affordability, IPS for those who want the best visuals they can get, and VA for those who want a good balance of visuals and performance at a reasonable price. A monitor’s refresh rate, measured in Herz, determines how many frames a monitor can display each second. 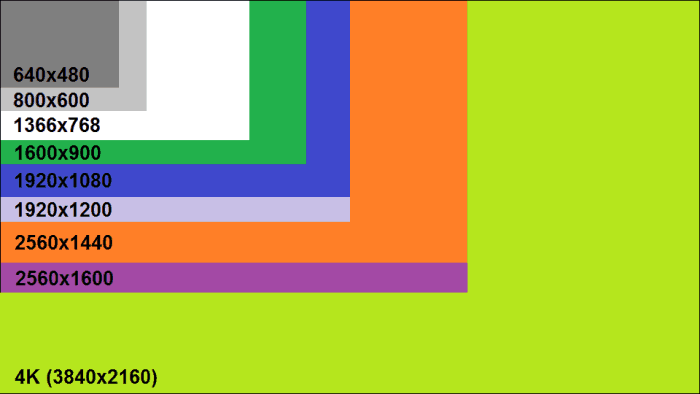 What this means is that your monitor’s refresh rate represents a cap on how many frames you can see. Your GPU could very well be maintaining a stable 240 FPS, but you wouldn’t be able to see it unless you have a 240 Hz monitor. But what exactly are the benefits of higher refresh rates i.e. higher framerates? Well, essentially, a high framerate means that the animations and the camera movement will appear smoother, there will be less motion blur, and a high frame rate can actually help improve your reaction time. While this is not vital for single-player games, it can mean a world of difference in competitive multiplayer, which is precisely why so many gamers are choosing TN monitors despite their shortcomings. But of course, if you’re buying a 144Hz monitor, you will have to make a choice – a more affordable TN panel with not-so-great color reproduction, or a pricier but better-looking IPS or VA 144Hz panel? Ultimately, it’s entirely up to personal preference, just keep in mind that you will have to spend extra if you want to have your cake and eat it, too. Another factor that should be considered when shopping for a performance-oriented gaming monitor is the pixel response time. Measured in milliseconds, it denotes how fast a pixel can switch from black to white or from one shade of gray to another. Today, most monitors keep the response time under 10ms, and gaming monitors tend to keep it even lower, usually either 1ms or 4ms. Only TN monitors can reach a response time as low as 1ms, whereas an IPS or a VA monitor can rarely go lower than 4ms. If they do, they are usually using some tricks like backlight strobing to give off an impression of a lower response time. Now, a response time is not really as relevant as a refresh rate. 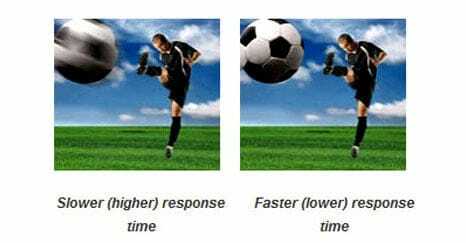 Sure, a lower response time also means reduced motion blur and less ghosting, but most people who aren’t used to a 1ms response time agree that 4ms tends to be fast enough for their needs. When connecting a monitor to your PC, you have a total of four choices today: VGA, DVI, HDMI, or DisplayPort. 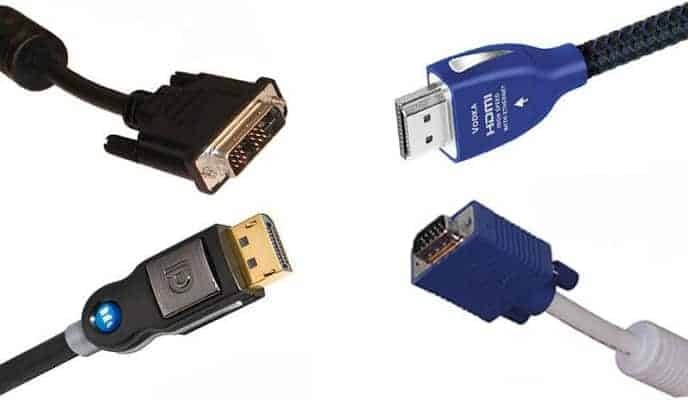 First, we should get VGA out of the way, as it is an outdated analog connector which is only found in some budget monitors and graphics cards today. On this list, only the two AOC monitors come with this connector – not that there’s much use for it in a 1440p monitor, as it can only support resolutions up to 1920×1200. Next up, there’s DVI, another port that’s teetering on the edge of obsolescence. The latest version of DVI that’s found in many 1440p monitors today is Dual Link DVI-D, and it can support resolutions up to 2560×1600, making it a very viable choice unless it’s a 144Hz 1440p monitor we’re talking about, as DL-DVI-D cannot reach refresh rates that high in 1440p. Moving on, we have HDMI, which is the most common digital port found in all modern monitors and TVs. Now, HDMI 1.4, while it supports even 4K resolutions, can only manage a refresh rate of 60Hz in 1440p. On the other hand, HDMI 2.0 does support 144Hz in this resolution. And finally, we have DisplayPort, which is commonly seen as the best choice for gaming monitors. DisplayPort 1.2 supports 144Hz refresh rates in 1440p, and naturally, so does DisplayPort 1.4. So, all in all, if you’re getting a 60Hz QHD monitor, HDMI, DisplayPort, and Dual Link DVI-D would all be equally valid choices. However, DisplayPort and HDMI 2.0 will be the only viable ways to go for 144Hz ones. And now, we get to AMD FreeSync and Nvidia G-SYNC, both indispensable features for monitors with high refresh rates. So, why do you need these? To put it simply, when the monitor’s refresh rate and the framerate are not in sync, it results in nasty-looking screen tearing. And if you want to maintain those high refresh rates, you’ll need to make use of one of these two adaptive sync technologies. Without getting too technical about how these two technologies work and how they differ, we’ll just address the key differences between them. 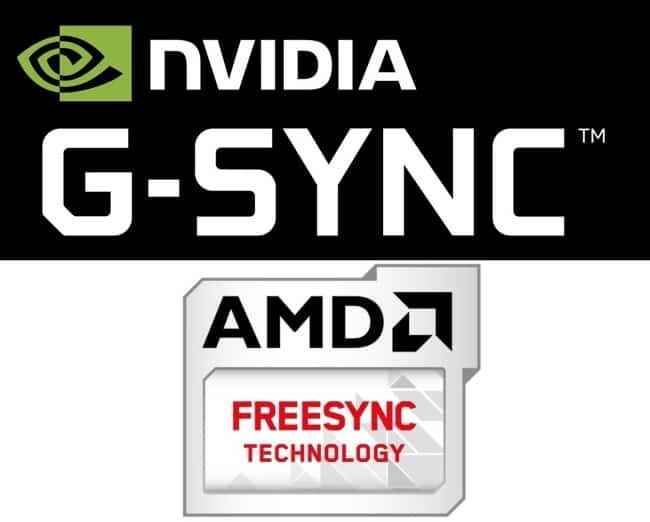 First and foremost, FreeSync and G-Sync are exclusive to AMD and Nvidia GPUs respectively. If you pair up an Nvidia GPU with a FreeSync monitor, you won’t be able to take advantage of the adaptive sync technology in question. Furthermore, G-Sync monitors tend to be more expensive than FreeSync ones since they need to have a proprietary Nvidia scaler module built in. Now, AMD’s take on adaptive sync also requires a scaler module, but the key difference is that FreeSync can work with different third-party modules, not just proprietary ones. This, ultimately, makes FreeSync cheaper to implement. With that said, it should be fairly obvious that your key concern should be picking a monitor with an adaptive sync technology that your GPU supports. In the case that you’re also shopping for a GPU, going with an AMD one would be more cost-efficient and give you better value for your money, though sadly, AMD still has no high-end GPUs that can compete with the likes of GTX 1070 Ti, RTX 2070, and others. We’ve said it before and we’ll keep saying it over and over again: you should never make integrated speakers one of the deciding factors when getting a monitor. 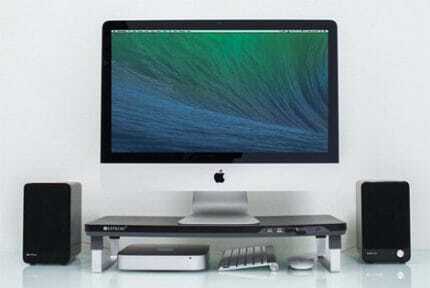 Sure, having a set of built-in stereo speakers is definitely convenient as it saves space and means that you don’t have to spend extra money on a set of dedicated desktop speakers. However, there are two ubiquitous problems with monitor speakers. First and foremost, they’re not very good. As we’ve already mentioned multiple times throughout the article, those weak 2W or 3W drivers will hardly be suitable for anything apart from certain activities where just having sound is more important than the sound quality. And secondly, you can get decent desktop speakers for what is essentially pocket change. Not only do these cost next to nothing compared to the price of a gaming monitor, but they will also blow the vast majority of built-in monitor speakers out of the water, especially if we’re talking a 2.1 setup with a subwoofer. If you don’t know what VESA mounting is, it is simply a panel on the back of a display with a four-screw pattern. This is the standard mounting interface used by modern monitors and TVs, making it easy to find third-party stands or wall mounts, most of which offer a high degree of adjustability. So, essentially, if the monitor has a VESA mount, it means that you can always find an array of good stands and wall mounts to replace the monitor’s stock stand, should you be unhappy with it for whatever reason. The ViewSonic VA2719 may not be the best-looking or the most feature-packed monitor out there, but it is definitely affordable for a 1440p monitor, not to mention that it has a good IPS panel. VESA compatibility is an added plus which is bound to be useful if you ever want to switch this monitor’s rudimentary stand for a more adjustable one. If we had to pick the best monitor, or at least the one that presents the best value for your money, we’d have to go with either the Asus MG279Q or the Acer Predator XB271HU, based on what GPU you’re using. Both of these monitors come with IPS displays that are fast and look great, and the stands of both monitors are sturdy, stable, and highly adjustable as well. But of course, those are only our picks. As we’ve already discussed, the choice of monitor will largely depend on personal preference and budget.